 David & Sons know that choosing the best carpet cleaner can be difficult. Many carpet cleaners are more like salesmen using bait and switch tactics saying you need "pre-conditioning to do the best job." This could cost more than ten times the original price quoted and even if you pay the extra costs they still might not deliver the great job as promised. All of our carpet cleaning and upholstery cleaning quotes include everything needed for the best cleaning possible! We want you to call us back year after year for all your carpet cleaning and upholstery cleaning needs. We are family owned and service places that you know. We then turn on our truck-mounted unit. When temperature reaches 220 degrees we start the steam cleaning extraction / rinse. Water pressure is set at 300 psi and as fast as steam is applied to carpet it is extracted back into our recovery tank. This process along with the power of a truck-mount drying time is fast, less than one hour! We Service all of Los Angeles, San Fernando Valley, San Gabriel, Santa Clarita, Ventura County, The South Bay and Simi Valley.